Please sign into the Guestbook and leave any brief comments. You can add for sale/wanted information there (with links) as well. Please include your email address in the body of your message if you want readers to respond directly to you. More extensive submissions can be added to the Guestbook Extra page. Please forward any non-linked pictures and longer submissions such as lengthy NBN stories to tell, etc. to the site manager at giantsrest@gmail.com to be added to the Guestbook Extra page. The first NBN ever built is available for purchase through me at andybennett208@gmail.com. Description, pictures and pricing at your request. After having met Reb at a local watering hole, I got interested in NBN guitars. But considering their scarcity (and price) I never thought I could have one of my own. In 2018 I saw a reasonably priced Reverb ad for an R-2, that had been used a lot over time, but had been professionally fixed recently. And so, Reb and I sit together now and then to play our NBN’s. A great pleasure to play such a wonderful guitar, that is part of guitar making history. Especially after seeing “40 Years in the Making: the Magic Music Movie” about a 1970s Colorado band that used NBN guitars. Thanks for the post Joe! Can you share some pictures? In 1970, I moved to Boulder and picked up a Yamaha FG-180 that had allegedly "belonged to the owner of NBN Guitars." I have no idea if that was true, but the fretboard does have abalone inlays which were supposedly crafted by the original owner. I've lugged this guitar around for nearly fifty years; it has a bit of a twist in the neck and doesnt stay in tune long. But I wondered, after coming across this board, if this old Yamaha would mean anything to anyone. Had the luck to crash in a commune in Boulder in 1974 and learnt my first chords on a jumbo NBN that belonged to some sharing hippie gal. I was Monty's tax man from the time he left NBN until he died. A nicer guy, you'd never want to meet. I never charged him much, he was always cash poor and inventory rich and when he knew he was dying, he said, take care of my taxes, make sure my wife doesn't have to worry about things and gave me a guitar he'd been stiffed on by an A**hole out of Gold Hill, CO. Anybody in the know, knows exactly who I'm talking about. They wouldn't even let him sit in on the Sunday afternoon jams, that's how much he was liked. Monty's widow exercised the clause in the Elvis guitar contract and bought it back for the $10,000. She sold it for a lot more than that. I saw that guitar during the build and it was awesome. Monty was the most detail oriented I ever met, when he was doing inlays, there was no filler, it fit. I saw his house when he was building it and it was just the same. A gorgeous place, obviously built by a craftsman. Someday I'll sell the guitar, it's been over 30 years and I still can't. I still have one of the T-shirts from when he came back from his foray into California. Says, Monty's Back. It's almost worn out, but I wore it down to the local bar about 6 months ago and somebody recognized it. He had his fans. After Monty left, NBN folded fairly quickly, he was the talent. Perhaps of interest is a custom guitar I just finished based on the NBN concert size acoustic. I've built several instruments based on this shape over the years from of a tracing of NBN #4 Classical courtesy of Reb Bennet. This guitar is built with African Blackwood back and sides, 5 piece curly maple & Blackwood neck and Euro Spruce top. Bracing is an X brace similar to that used in later NBNs . I don't usually do as much elaborate inlay as this instrument sports nor have I ever used pearloid binding before. It's all rather striking on such a dark background. I don't know how well these images will show up here, so if you'd like to see the full size photos, email me and I can send them directly. Thanks Mike, great to hear of Bernie! Please extend an invitation to him to share any stories and pictures! Did you sell your Limited Edition? Just became a proud owner of my first NBN guitar today. Very impressed with this guitar (an R-2) even though she needs some major work. Dropping her off at my repairman's shop next week.......so for the few days between now and then, I get to enjoy her. Obviously, when it's been repaired, she'll be even more enjoyable, but so far...........I'm "extremely" happy with it. Never played or even saw one of these before this one............but she's already made me a big fan of NBN guitars. To Jon Svetkey, "singer, songwriter for 25 years". Have you run across Severin Browne, singer songwriter for about 50 years now, whom I knew in high school, played bass for at reunions, on the opposite coast, famous last name but the more talented of the two of course. I am envious of good talent and I'm glad to see your "beast" of a guitar doing what it was built for. To Reb and Andy, I don't remember knowing about yours and Monty's signatures on the end block. One more little fact that makes me smile. I hope all is still right with the world. I just had an L.R. Baggs Anthem SL pickup system installed on my R-2 and it sounds AMAZING! Here's a little Facebook shout out from the luthier who installed it! Jon, sorry about the repeat on the message to Michael. Your build date would be around 1972. Enjoy! So I think I'm perhaps the newest member of the NBN Guitar Owners Family... my wife just surprised me for my birthday with that left-handed R2 that was on sale at Carter Vintage Guitars in Nashville! It's Serial Number 0227 (I'll put that into your registry here). I'm going to have some minor work done on it -- a grind and polish, a neck tweak, some new bridge pins and a pickup -- and then it's going out to gigs with me! I see by this site that there's lots to check out; my biggest curiosity question is how many lefties did NBN make? Any ideas? Thanks! Hi Mike - you'll likely find this website to be the best information source. 0014 is a pretty early SN so probably built around 1970. If you're looking for a good luthier I suggest checking with good acoustic guitar shops and players as well as Internet research. I fam so stoked to find this site..I am the owner of an R-2 #0014..i am looking for all the info....help..i can find to restore this beautiful piece of art...the sound is over the top and it needs some tlc..i live in Hawaii and i would like to restore this guitar to the best possible condition i can..
How many left-handed guitars did NBN make? Anyone else ever have this experience? 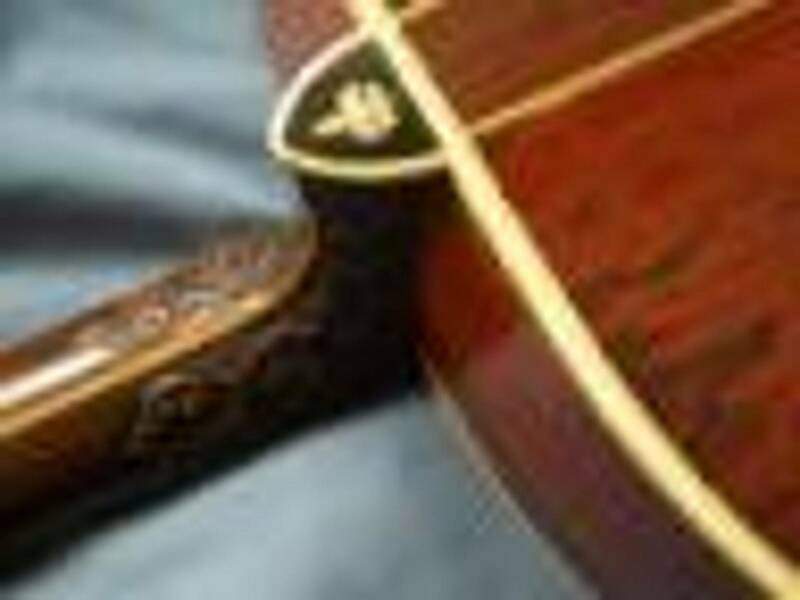 Awhile back I contacted someone advertising an "NBN acoustic guitar" for sale. Turns out it was a No Brand Name! Hi Daniel - no cases or any other merchandise is sold on this tribute site. Using the guitar measurements you should have no trouble shopping a new case. Sorry for using this site, but I cannot locate you and need your address. Give me a call. Tim, Magic Music is playing a concert today, Nov. 22, 2015, which is being filmed and will be part of a documentary. The concert will be at the Boulder Theater in Boulder,Co. Not sure when or where the documentary will appear when completed but Andy and I were asked to be interviewed about NBN so we gave info about the company and our history with the band at a earlier filming at CU last summer. Should be great fun to see how it all works out!! Reb Bennett, NBN Guitars. I'm bummed today because I had a break-in at my office and the theives got, among other things, my NBN R2-12 guitar.. It is serial number 0038, and last seen was in its original Just-in-case. I'm just putting it out there to all lovers of NBN's...on the long shot that you should ever see it, you will know who it belongs to, and maye help it get back home to me in Tucson. My phone is 520-977-3700...best to you all, and take good care of your instruments. Magic Music...I hope one of them will post a history of their time and their NBN guitars on the Guestbook Extra...So, Magic Music, if you are out there, this is your invitation. MTV's "Unplugged" series seemed to be a major factor in the resurgence of acoustic music and "boutique" luthiers. Wow! Magic Music and NBN Guitars... getting the well deserved recognition now, after many years. I am amazed at how Taylor Guitars has gone from a start up to a major producer of fine quality instruments, rivaling the nearly two century giant Martin Guitars. And the plethora of smaller factories and independant luthiers that have survived and grown since the 70's--the same as many big time bands from the era. Maybe our favorites - NBN and Magic Music - were good enough that they didn't need the big time. Thanks for the information. I have long wondered. Now, full circle. Chris Daniels was in Magic Music: http://www.westword.com/music/chris-daniels-talks-about-being-a-member-of-the-colorado-music-hall-of-fames-class-of-2013-5685906. Also more info here: http://magicmusicband.com/. I vaguely remember hearing them around Boulder & Greeley in the early 70s. Those irrigation ditches outside of Greeley were great for swimming and picking wild asparagus. I vaguely remember hearing them here and there around Boulder & Greeley in the early 70s. Does anyone remember Magic Music? I heard them a couple of times around Greeley, early 70's. As I remember they were 3 guys with at least 2 NBN's living the bare bones hippie life, driving around in an old pickup truck. In conversation with one of them, the only part I remember of the story he was telling me was, "We stopped by a field and I was taking a bath in an irrigation ditch..." They were sitting in the grass near the University Center playing really great music. So....Magic Music, are you guys still out there? Thanks for the email update sent back in March regarding the new photos and the Starland Vocal Band video. (I remember the song very well. Vic Saracini roomed across the hall from me back then and I brought my guitar from home for a few jam sessions with him. He'll always be remembered as Captain of United 175.) I missed the NBN "sightings" in the '70's; I had no TV for many years. In retirement I am building some ukuleles after finishing up a couple of guitar projects that have languished for 2 decades. NBN Guitars, Monty, Reb, and Andy gave me good memories of the '70's and always inspired me to machinist tolerances. Their craftsmanship was incomparable, their design, unique. Hoping you remember me from long ago> I worked with your dada, and you and I went to Longmont Junior High School together. We had Spanish class together I believe in 7th grade. Would love to hear from you. I have recently purchased an NBN ( after 40 years) and have been talking to Reb and Andy (and others). I am the oldest daughter of Monty Novotny. His craftsmanship was amazing and beautiful. HIs heart and soul went into each one of his instruments.